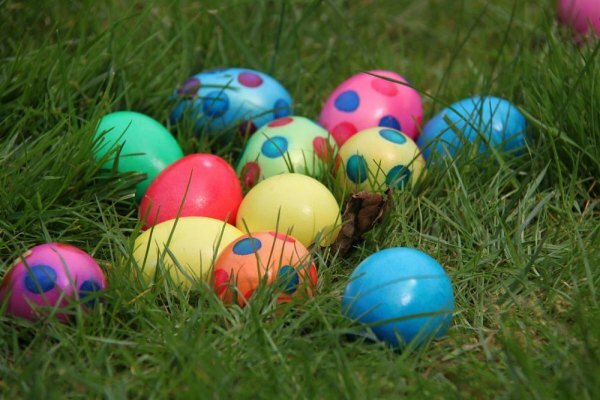 "RIRA’s Annual Easter Egg Hunt will be held on April 1st, from 10:00 a.m. to 12:00 p.m. on the Manhattan Park lawn," announced Irena Skuletic. As they do every year, Manhattan Park Management donates the complex's expansive lawn for the event. "Besides the Egg Hunt," Skuletic continued, "there will be a lot of crafts and activities brought to you by our local organizations. Entertainment includes a performance by the Main Street Theatre & Dance Alliance cast of Seussical Jr, as well as an appearance of the Easter Bunny. "The main goal is to promote early reading and literacy by giving away free books, as well as anti-bullying and good citizenship," she told The Daily in response to a question. The may be true for RIRA, but the main goal of participants will be fun and plenty of it. "Prizes (stuffed animals, English and non-English language books) will be awarded." To help planning, RIRA asks that you "visit our registration site at http://rira-eeh.weebly.com/. Fee is $4 per adult. One paying adult can bring up to three children. Children must have at least one adult chaperone. Deadline for Pre-registration is Friday, March 24. Price at the day of the event is $5, cash only." Fees are kept low and designed to cover only event costs. However, the organizers don't want them to prevent cash strapped families from participating. "If you are unable to pay due to financial hardship," Skuletic adds, "please email us at sce@riraonline.com." Not only is the Easter Egg Hunt a herald of spring, it's also an event that knots the community and welcomes everyone.